Bake for 30-40 minutes depending on how well done you like your veggies. 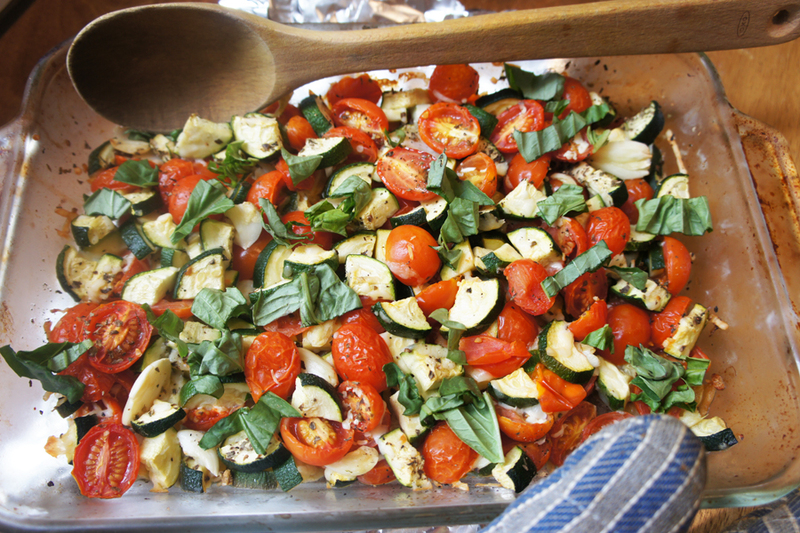 Remove from the oven and garnish with fresh basil or parsley. See original recipe on the iFoodReal website.